These shirts are made of highest quality. They are light-weight and comfortable, perfect for meetings, the golf course, or generally anywhere you would like to represent your home lodge. 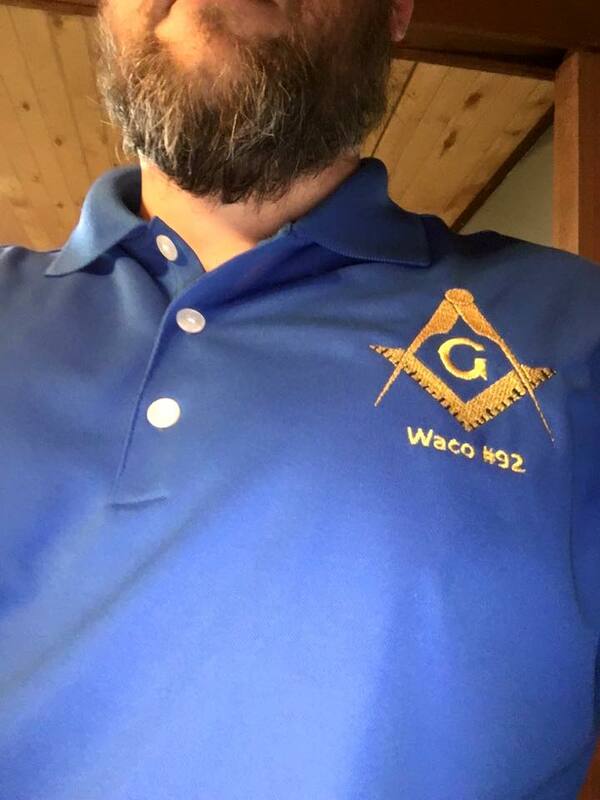 The Waco 92 logo is embroidered on the left breast near your “heart and vitals.” This embroidery was done by a local company, Ink’D Up Printing, which you can learn more about by visiting their Facebook page here: Ink’D Up Facebook. A Nike brand swoosh check is located on the sleeve. ATTENTION: These shirts tend to fit one size smaller than normal. This means that if you usually wear a large, you should order a medium. If you usually wear a XXL, you should order an XL, and so forth. 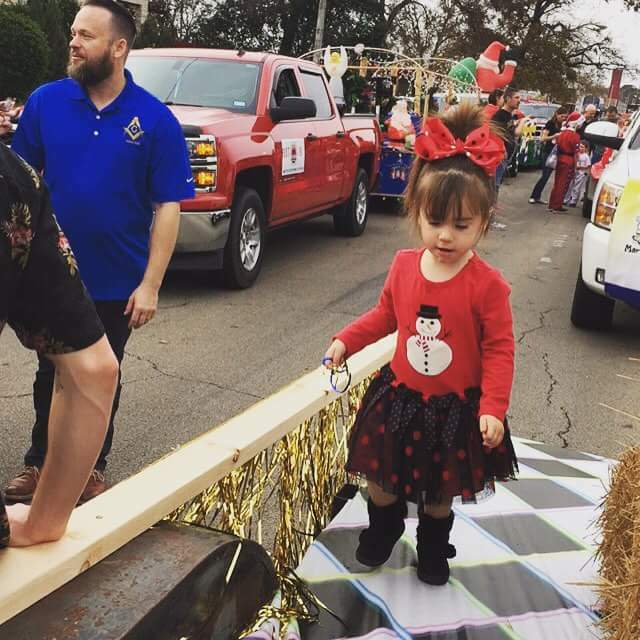 Brother Mcham wearing his Nike Fit and his daughter riding on our Christmas Parade float.